The semi-finals are set for Sunday morning at Austin Country club, with the championship and consolation matches in the afternoon. Here's a look at the four survivors after Saturday's Round of 16 and Quarterfinals action. Career Match Play starts/best finish: 9th start / Never made it past Round 2 (old format) or Group Stage (current format) until this week. Analysis: Won all five matches (four with partner Tommy Fleetwood) at last year's Ryder Cup. Now he's won all five matches this week. The reigning Open champion, who recently won the Arnold Palmer Invitational presented by Mastercard, is once again showing his match play mettle. Steady, solid, unflappable -- he's riding plenty of good vibes right now. Road to the Semifinals: Lost to Ian Poulter 2 up; beat Tony Finau 2 up; beat Keith Mitchell 2 and 1 (beat Poulter in playoff, 3rd hole); beat HaoTong Li 6 and 5 in Round of 16; beat Louis Oosthuizen 2 and 1 in Quarterfinals. Analysis: Another impressive week for Kisner at Austin Country Club, but he hopes for a better finish Sunday. A year ago, he beat Alex Noren in 19 holes in a grueling Semifinal, and was plainly out of steam in losing to Watson, 7 and 6, in the final. He said he's learned a lot from last year; now he needs to put those lessons to good use. Road to the Semifinals: Beat J.B. Holmes 3 and 1; beat Si Woo Kim 6 and 4; Tied Jon Rahm; beat Tyrrell Hatton 4 and 3 in Round of 16; beat Sergio Garcia 2 Up in Quarterfinals. Analysis: The former champion has been pretty ruthless throughout the tournament. Made five birdies in the final seven holes in the only match he didn’t win – so it wasn’t like he played poorly. Was gifted a controversial hole from Garcia in his Quarterfinals, but held firm amongst a late comeback attempt. Along with his win in 2013 he was third in 2011. Road to the Semifinals: Beat Justin Thomas 3 and 2; tied Keegan Bradley; beat Matt Wallace 1 Up; beat Henrik Stenson 3 and 2 in Round of 16; beat Tiger Woods 1 Up in Quarterfinals. Analysis: On his debut at the WGC–Dell Technologies Match Play and he’s taken down opponents who boast a combined four FedExCups and 17 majors. Pulled a Tiger Woods on Tiger by making a late eagle and clutch birdie to get back into their Quarterfinals match. Bjerregaard gets to play with an underdog mentality all the way to the end. It has served him well so far. 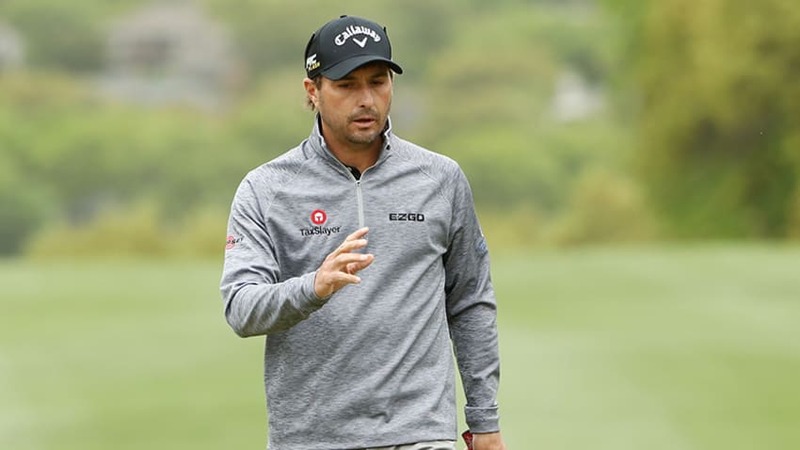 It took Kisner 19 holes to win his semi-final match over Alex Noren a year ago; it’s doubtful Molinari will make it any easier on him this Sunday. Molinari is now 10-0 in match play since the beginning of last year’s Ryder Cup. While four of his five wins in Paris were with Tommy Fleetwood, he also won his singles match before going 5-0 in Austin this week. His secret? He has learned to play the course, not the man. Experience against rookie enthusiasm. After knocking out FedExCup and major winners Tiger Woods, Justin Thomas and Henrik Stenson along the way – not to mention another major winner in Keegan Bradley – Lucas Bjerregaard will have no fear for former WGC – Dell Technologies Match Play champion Kuchar. But he will have to bring his focus and A game as the wily veteran Kuchar looks for a third win this season.